Andy Tarrant provides a refrigeration and air conditioning service that you can trust. He brings quality and professionalism to all who come in contact with him. With over 20 years experience in the refrigeration and air conditioning business Andy advises and communicates with customers using his expert knowledge and understanding. 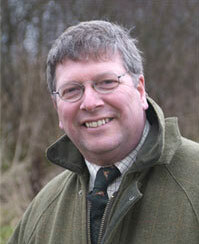 These attributes have been formally recognised as Tarrant Refrigeration was awarded Best Gamekeeping Product by The Shooting Awards Industry indicating not only the success of his business but Andy’s tight focus on the rules and regulations and attention to detail. Covering the complete range of clients & their needs, whether it be for self assembly, bespoke or commercial ranges of products can be easily be provided at Tarrant Refrigeration & Air Conditioning Ltd.
Why should you choose Tarrant Refrigeration & Air Conditioning Ltd? – Produce a plan for different meats, chilling times, and capacity times so it’s easier for you.